The new Bell Star line released last year was one of the best helmets of 2016. Its combination of style, safety, and features was tough to beat, even in a crowded premium helmet segment long-dominated by the likes of Shoei and Arai. The problem for many, however, is that the helmet only came in one of two flavors: plain solid color, or various types of "wacky spaceman" looks. The soon-to-be-released Bell Star Classic Helmet corrects this issue by offering the same quality found in last year's Bell Star helmet in a subdued, but attractive print reminiscent of the Bell helmets of yesteryear. Thanks to this, the new Bell Star Classic will look equally at home on your Triumph Bonneville as it will on your buddy's gixxer. 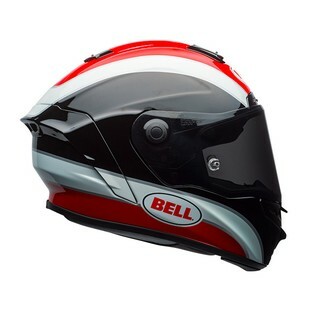 If you are in the market for a new helmet and are a fan of understated style but do not want to sacrifice features or safety, take a look at the Bell Star Classic helmet.